Guest Post by Snarkfest! Featuring Dumbass the Cat! Its author, Teri, has been one of the biggest promoters and sharers of Dumbass News. For that I owe her a favor. You know how I see fit to repay her? By showing her readers exactly what kind of people she chooses to associate with! What kind of people would that be? Dumbasses, that's what kind of people Little Miss Snarkfest Bloggy McBlogPants associates with! The Chick has absolutely no scruples and extremely poor judgement in regards to the character of her fellow Human Bean. That's why I like her! That and the fact that many of her readers are not very bright. They actually came over to Dumbass News! 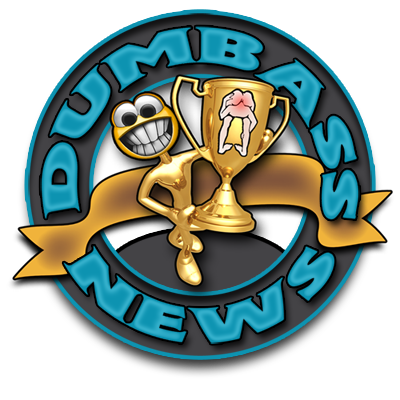 Today another blogger has chosen the short cut to blogging suicide by agreeing to do a Guest Post on Dumbass News! 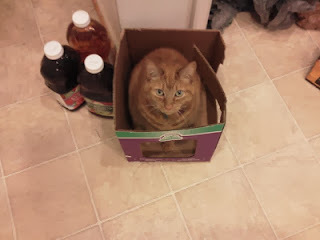 Let's have a big Dumbass Horde Welcome for Teri at Snarkfest and her cat Dumbass! In our house, we have an adorable fat cat named Cinnamon, named for her beautiful golden orange coloring. Her nickname, however, is Dumbass, named for her penchant for doing absolutely ridiculous things. Dumbass has been with us for almost 11 years. She was born on September 11, 2001. Yes, that day. It's very possible that had she been born on a different day, she'd be nicknamed Einstein rather than Dumbass. Maybe she'd have the ability to pee in the toilet, feed herself, cook dinner and do laundry. But alas, that was not to be. She is now and forever will be our little Dumbass. Cats are simultaneously evil and awesome. You will not get an argument from me on that, Hook.